It is being said that Paresh Rawal will reprise this role while Naseeruddin and Annu Kapoor will play prominent roles in the film. 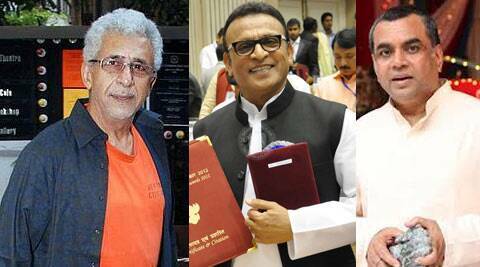 Bollywood veterans Naseeruddin Shah, Paresh Rawal and Annu Kapoor will soon be sharing screen space for a satirical comedy titled Dharam Sankat Mein. According to reports, the movie is apparently an official remake of the 2010 British comedy ‘The Infidel’, which revolves around identity crisis, where a man of Muslim origin discovers that he was a born to a Jewish family and later, was adopted. Produced by Viacom 18, Dharam Sankat Mein will be directed by debutant Fuwad Khan and is slated to go on floors in Mumbai soon.